Located in the East End of Portland, Maine. Stretch Studio is a fully equipped, state-of-the-art photography studio. With over 35 years in the business, Stretch has acquired and refined an extensive collection of backgrounds, surfaces, and a one of a kind collection of props. 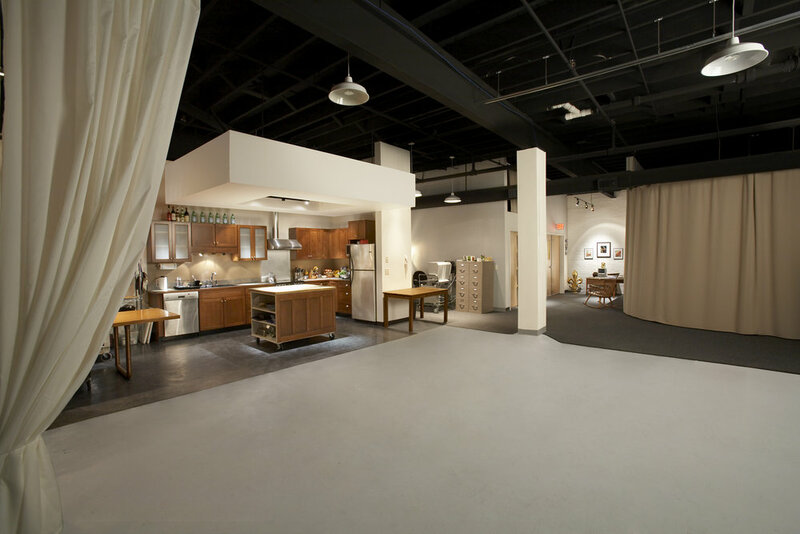 The studio also comes equipped with a designer kitchen built with photography in mind, free parking, and plenty of room for creating your next photoshoot. The digital prepress process begins after the first frame is captured. The process ends when an image is ready to go to press. At Stretch Studio, we've made a commitment to providing fast and cost-effective digital prepress services and have made sure we're on target in every step of the process. High-end, medium format digital cameras provide optimum resolution and the finest quality digital files. Mounting and lamination options available to protect your important printed investments.